NOVEMBER 2, 2017, REPORT ON BUSINESS, PAGE B4. “Bill Morneau’s alleged conflict of interest as Minister of Finance reflects a continuation of the federal government’s deficient regime to deal with the incompatibility of public duties and private benefits. “The Liberals, however, switched sides in the recent debate over Mr. Morneau’s possible conflicts, defeating a House motion calling on the Trudeau government to close the loopholes in the Conflict of Interest Act, including private holding companies to shield conflicted assets. “The Office of Conflicts of Interest and Ethics Commissioner Mary Dawson recently advised that other federal ministers – “fewer than five” – also hold controlled assets indirectly. Those other unnamed ministers should be required to publicly disclose their identities and circumstances. The public trust in the integrity of responsible government overrules confidentiality and private interests. Secrecy of possible conflicts of interest by members of Her Majesty’s Privy Council is unacceptable. A true and faithful servant of the Crown does not harbour any conflict of interest within the functioning of his or her office. 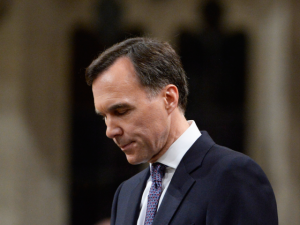 “With respect to Mr. Morneau, his defences are untenable from a public-policy perspective. As Finance Minister responsible for regulating the pension industry, he owned substantial holdings in Morneau Shepell Inc. 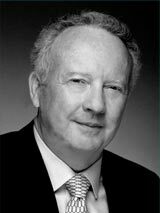 He joined Morneau Shepell in 1987, went on to become chairman and CEO, then resigned as executive chairman after being elected to Parliament. An expert in pensions, Mr. Morneau was pension investment adviser to the Ontario Ministry of Finance in 2012. An Ontario resident, he transferred his Morneau Shepell shares to his private holding company, which was incorporated in Alberta’s lower tax jurisdiction. While Finance Minister, he sponsored Bill C-27 – pension legislation that could directly benefit Morneau Shepell’s business. “3. Being wealthy as a result of his success in the private sector, Mr. Morneau said his motivation to enter politics was “to make an impact on our country,” and not for personal gain. His sincerity in this regard is unquestioned. “His first argument, narrowly based on technicality, fails to respect the ethical spirit behind the Conflict of Interest Act. The veneer of the corporate shield of a controlled company is a pretense, and does not alter the substance of conflicts. It relies on the illusion that form masks reality: Courts have often “pierced the corporate veil.” Also, reliance on the strict letter of the law does not satisfy the public’s expectations for appropriate conduct in Ottawa. Notwithstanding Ms. Dawson’s questionable advice, Mr. Morneau should have known that, as Finance Minister, it was ethically wrong to follow it. “Under attack, Mr. Morneau pledged to sell his holding, enter into a blind trust and donate to charity the gain on his shares since he came to office. His remedial actions confirm he controls those assets and needed to take action to address the conflict of interest allegations as minister. Other ministers should be informed by Mr. Morneau’s lapses in judgment and apply enhanced ethical principles in their public service.